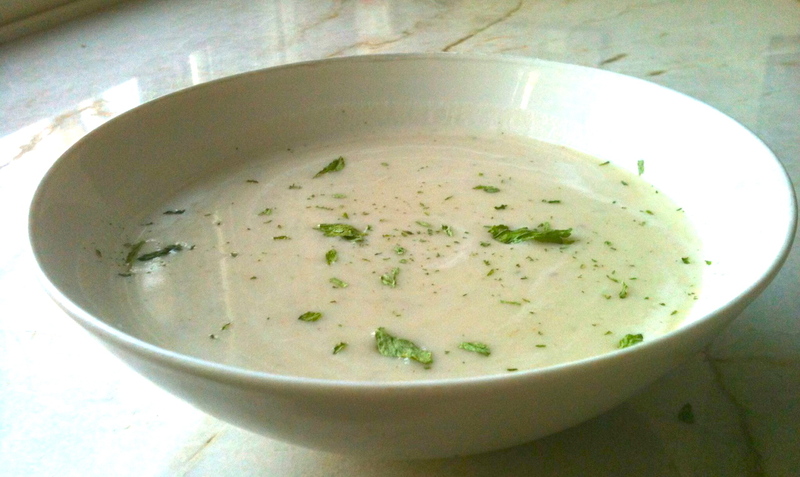 There is a lovely vegetable soup called vichyssoise, named for Vichy, the spa town in central France. Whether the soup is French at all is up for debate, though; Julia Child claims the recipe is an American creation. Questionable authenticity aside, this potato and leek puree is an easy, elegant dish that’s pretty simple to make. Served either cold or hot, it’s a versatile dish perfect for unpredictable spring days. Heat a Dutch oven or other large soup pot on medium and add a pad of butter. 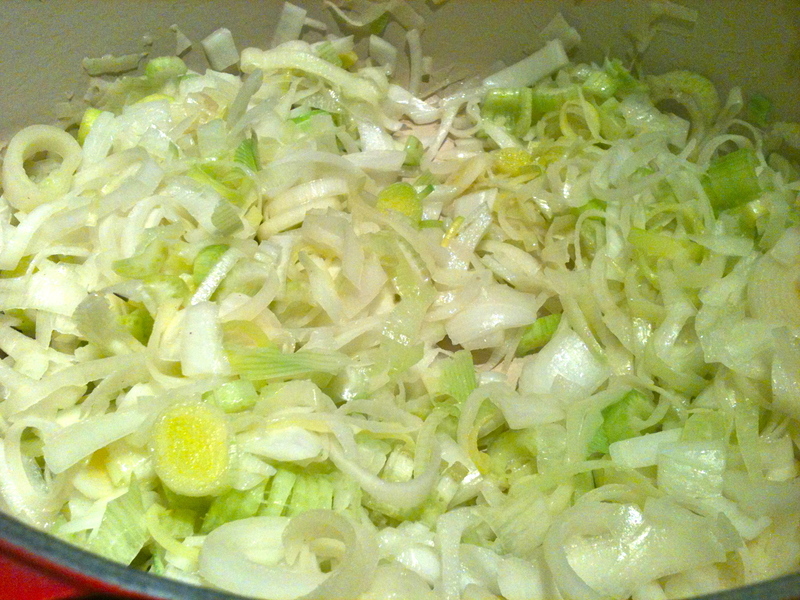 When butter is melted, add leeks, onion, and celery, and cook until softened but not browned. Add potatoes and just enough chicken stock or water to cover the vegetables. Season with salt, and don’t skimp on the pepper! 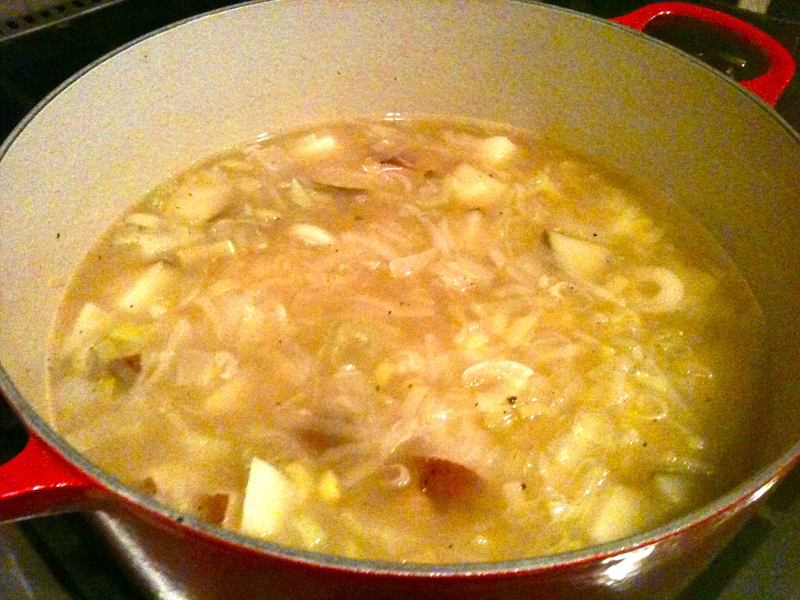 Bring to a boil, then reduce to a simmer, cooking until potatoes are soft. Remove from heat and puree in batches; I like to pour the pureed soup through a strainer so that there are no lumps, just a smooth, thick soup. 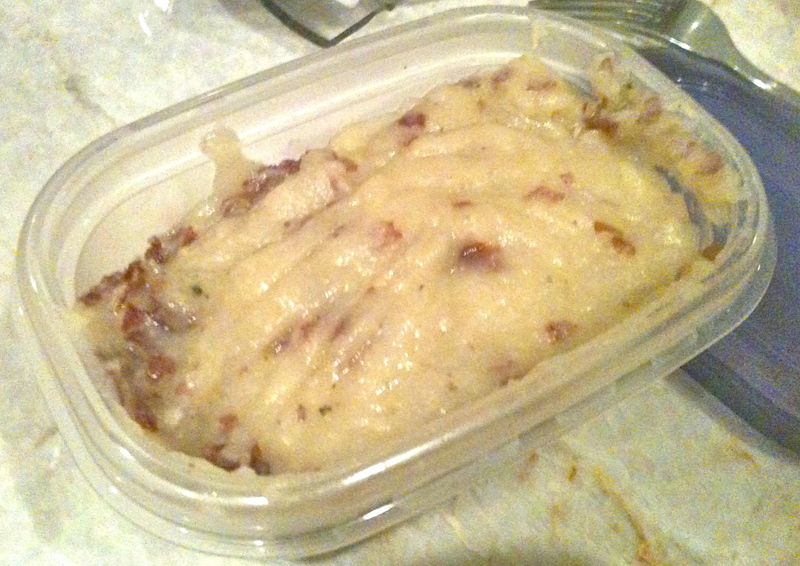 *If you left the skins on your potatoes, like I did, you’re getting a second dish out of your vichyssoise! While straining into your soup bowl, reserve some of the potato puree in a separate bowl–say, 3/4 cup. After you’ve strained the soup, all the potato skins will be caught in the strainer. Scrape them out and mix them into the reserved potato puree for leek mashed potatoes! Back to the soup. Whether you’re serving it cold or hot, there’s one last step before you dig in. Just before serving, stir in a healthy splash of half and half or cream and add a dash of salt and pepper. Garnish with parsley or chives. Croutons would be good, but I was fresh out. Oh well. Bon appetit! Can’t wait to try this one! The ingredients make it so appetizing.